Your gutters protect your home from water. Once they become clogged, they can easily put your home at risk. If this happens, it is important that you seek the help of experts in gutter repair. 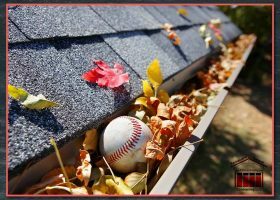 They should effectively be able to fix whatever is clogging your gutters as well as point out details that may turn out to be problematic later on. How, exactly, can something clogging your gutter become a huge concern?